Acrylic Wave Labrets | Tragus Bars or Lip Piercing | Green-Blue Ball Micro Labret | 1.2mm gauge | 10mm length | 3mm ball | Surgical Steel Base | Also available in other lengths, colours and as 'Value Multi Packs'. Body Jewellery | Continuous Ring | Nose Ring | Ear Ring | 1.0mm gauge 8mm internal diameter 316L steel | Tragus Jewellery | Carefully twist ends sideways to open and close. Acrylic Lollipop Labrets | Tragus Bars or Lip Piercing | Black Ball Micro Labret | 1.2mm gauge | 8mm length | 3mm ball | Surgical Steel Base | Also available in other lengths, colours and as 'Value Multi Packs'. Single Genuine Sterling Silver Earring or Nose Ring Hoop. H9:- Piercing Gauge 0.5mm. Perceived Gauge 1.2mm. Internal Diameter 6mm. Rose Gold Steel Labret (Rose Gold coloured PVD) 1.2mm gauge, 6mm length, 3mm ball. 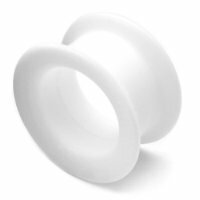 Ideal for lip, tragus, etc. Steel Circular Barbell CBB Horseshoe. 1.0mm gauge 6mm internal diameter 2mm balls. Good for nose, smiley, tragus, rook, daith, helix, ear piercings. pewterhooter Emerald Green Swarovski Crystals on Silver Plated Hypoallergenic Stud Earrings with Gift Box. Jewellery box wood "Andra" clear chestnut. 9ct Yellow Plain Small Heart Shaped Locket With a Diamond Cut Curb 18"